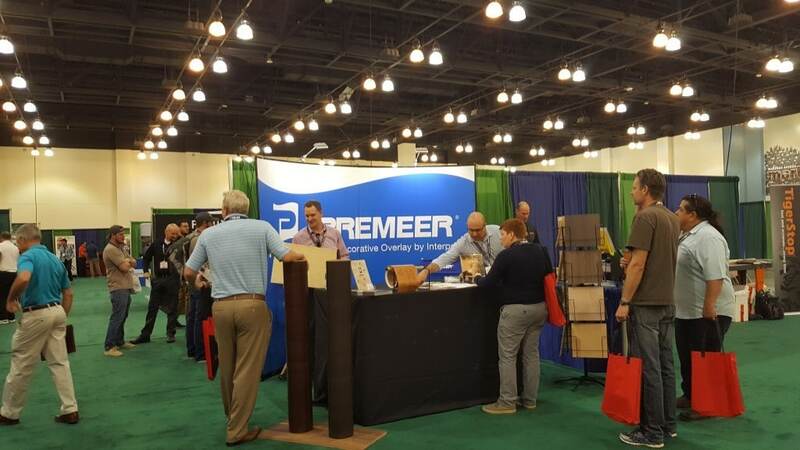 This year we had the pleasure of checking out the 14th annual Cabinets & Closets Conference & Expo in Pasadena, with nearly 70 exhibitors and keynote addresses from some serious industry pros. Speakers included representatives from heavy hitters like Houzz, Top Shelf Design Awards, and Bespoke. 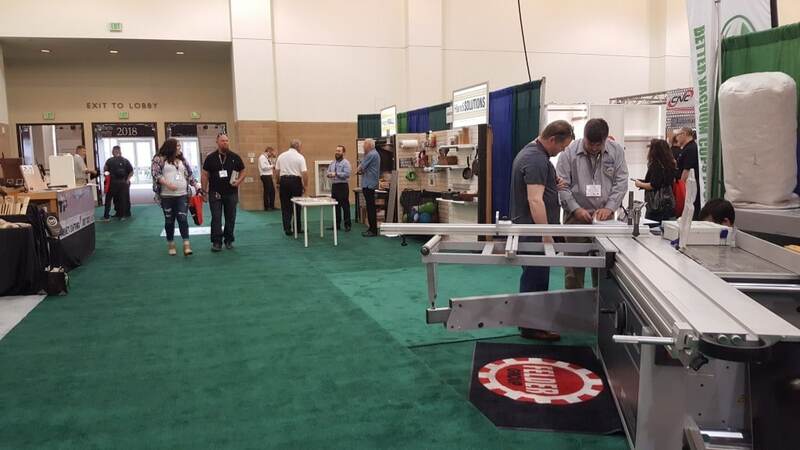 Hosted by the Woodworking Network, it hasn’t been at the Pasadena Convention Center in 2 years. We were happy to see it return to our local stomping grounds. Day 1 even included a several-hour plant tour of Semihandmade, located conveniently nearby the Pasadena Convention Center. On the Inc 500 list of fastest-growing privately owned U.S. companies, Semihandmade’s manufacturing and assembly facility is state-of-the-art and awesome to tour. We arrived bright and early on day 2 in order to take in as much of the exhibitor hall as possible. Walking through the large hall, we were initially overwhelmed by all of the booths to investigate but we steeled ourselves and began our journey. While it would be impossible to single out and relate everything we saw that wowed us, there were definitely some favorable outliers. 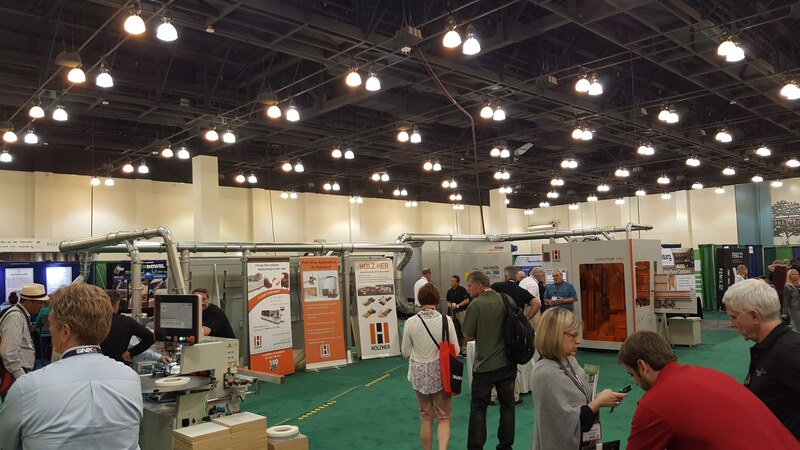 We compiled below some of the most progressive and interesting things we saw being done in the woodworking and design space at the show. Definitely check these companies out for neat accessories or products to pair with a great new set of wholesale cabinets. Weinig Holz-Her had an impressively huge display: their large array of woodworking and panel processing machines. Looking like something straight out of the future, it certainly stopped a lot of expo visitors in their tracks. 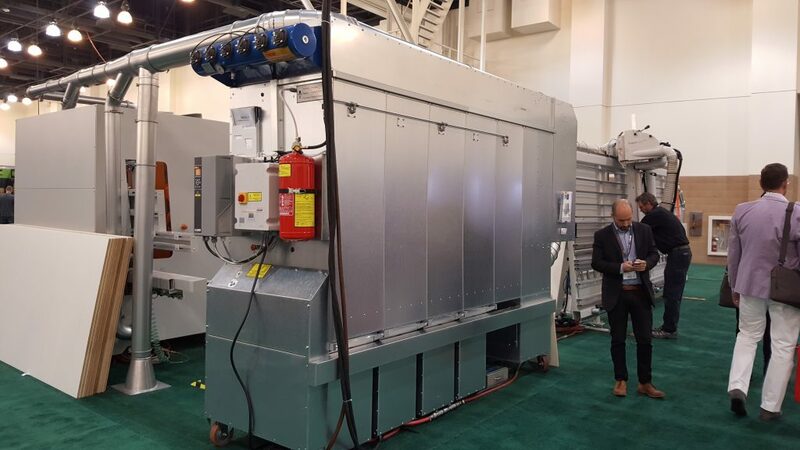 On another interesting note, the 2018 WEINIG HOLZ-HER USA Technology Expo will be taking place between April 19-20 this year in Mooresville, NC. 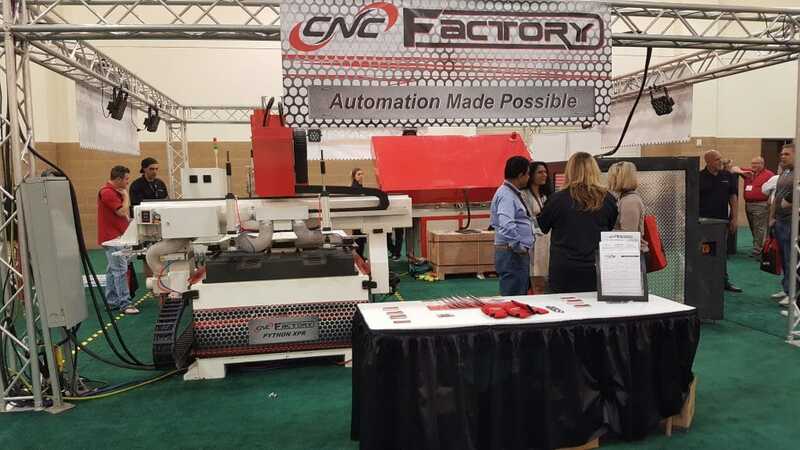 They’ll be showing off over 30 machines interconnected in a truly staggering display of wood processing, as well as discuss their lEnVision software for distributors. Innovators in manufacturing equipment to streamline and ease the process of creating cabinets and closets. If you’re a fan of space exploration like us, you might also be captivated by the idea that that looks just like a Lunar Rover!! 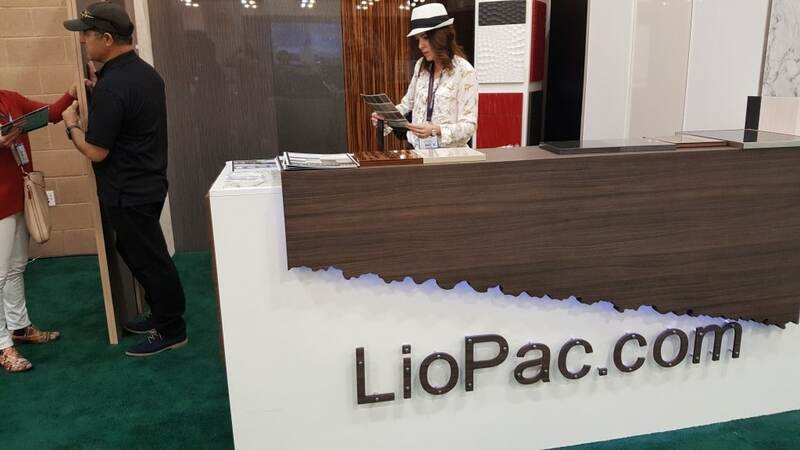 LioPac had one of the coolest booths in the exhibit hall, really showing off a flair for wood design. They specialize in high quality wood panel materials for interiors, designers, and manufacturers. As a matter of fact, we sell some of their products in our showroom! 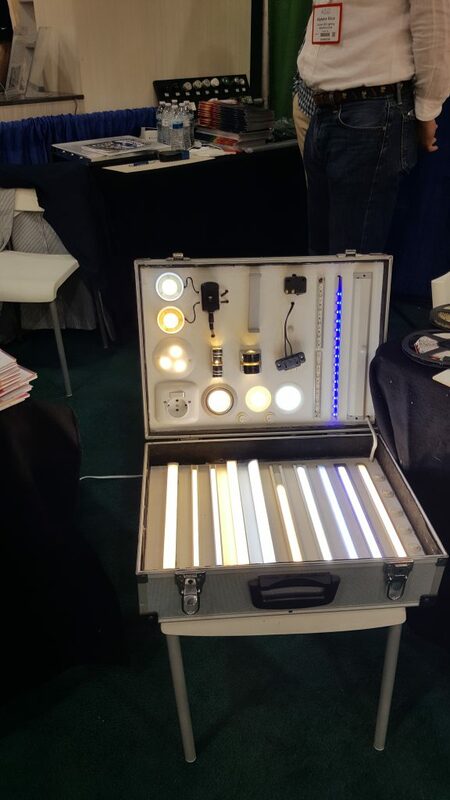 This company specializing in LED lighting answers had a unique exhibit showing off their goods: an antique briefcase featuring various LED forms. It’s not often that you see something like this that catches the eye while also giving you a great idea of what they can do for you. 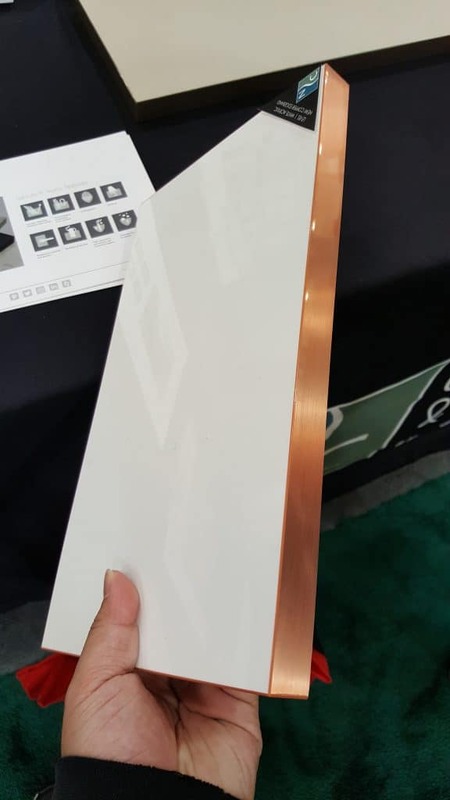 HandiSolutions has a very interesting offering they were showing off– their HandiWall® PVC slatted storage system for work rooms, garages, or even kitchens where space is at a premium allows for additional readily available storage. These handiwalls might pair very well with a great set of cabinets under the right circumstances. And they come in a variety of styles to match existing decor like Graphite, Beachwood, and Silver. 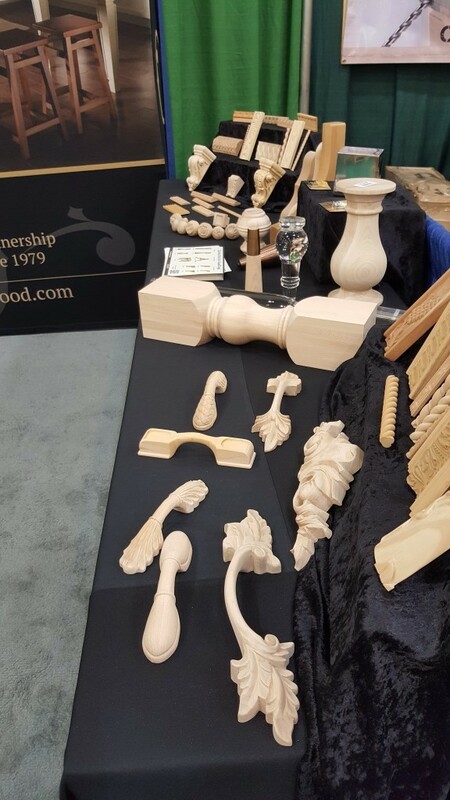 Goldenwest displayed a fine assortment of lovingly crafted wooden handles with organic patterns that we had to stare at for a while. Get a load of these. We took in a lot while we were wandering around, so here are just some more excellent pieces of craftsmanship and design we took in. If you’ve been as intrigued by some of this stuff as us, you should definitely make sure to attend this show next year! © Copyright 2000-2019, Cabinet City - Kitchen and Bath. All Rights Reserved.